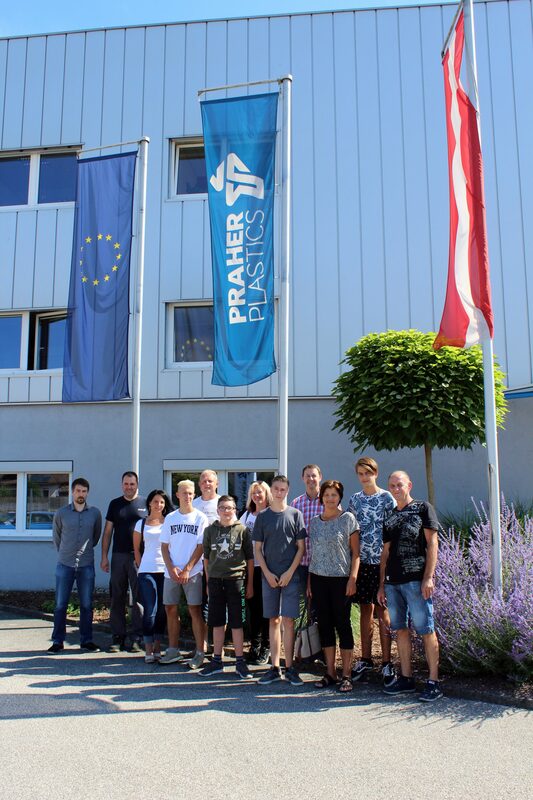 With an average of 15 apprentices per year, Praher Plastics is one of the top training companies in the region. Apprentice training has a comparatively high priority in Austria. This also applies to our company. After all, we see today’s apprentice as the hand-picked skilled worker of tomorrow. In September 2018, four new apprentices will start their career: two as plastics technicians, one as design engineer and another as IT technician. Last week, on 3rd July 2018, the future new apprentices and their parents were visiting our company to sign the contract. The first day of training in September was discussed and the work clothes were handed over. During a tour through the company, parents were shown in which departments their children will be trained from autumn onwards.